GR-Productions will set up a custom shoot for you. These photos were taken at a "Trash the Dress" session at Wallowa Lake. "Going off the rope swing at the Lake" is a time-honored Wallowa County tradition. Click on the link to see Maddie, A Wallowa County native, take to the swing in her beautiful dress! GR-Productions does Family Portraits, Special Events, Senior Portraits, and of course Weddings. 2012 was an eventful summer for us. We had the opportunity to be part of two weddings, and many other local events. We also put into place the foundation of a photography and video business. GR-Productions has a passion for capturing the celebrations of life. Give us a special occasion and we will preserve it in time with uniquely conceived photos and video stories. These photos were taken at Parker's LaGuinceanera, which is a traditional Mexican celebration of young womanhood. Once a year the town of Joseph fills to the brim and overflows with Rodeo fans. One of the best small PCRA Rodeo's in America, Chief Joseph Days celebrated it's 67 year of outstanding wild west action. Wyoming Mule Deer Hunt, Outback Outdoors with Trevon building season 2012. QRS Outfitters in Wyoming at Split Rock Ranch. 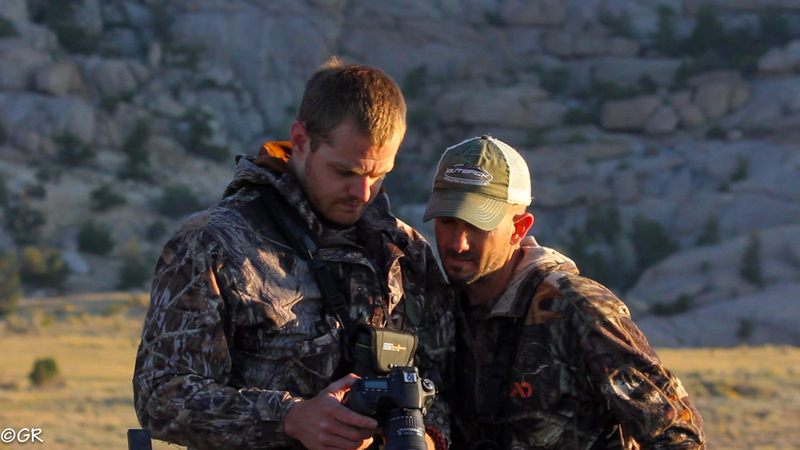 The Nevada Mule Deer Hunt with Outback Outdoors. We hiked in extremely tough conditions on public land doing a spot and stalk. The weather was insane with lighting strikes pinning us down during massive thunder storms.